Crop tops are essential for every occasion girl. 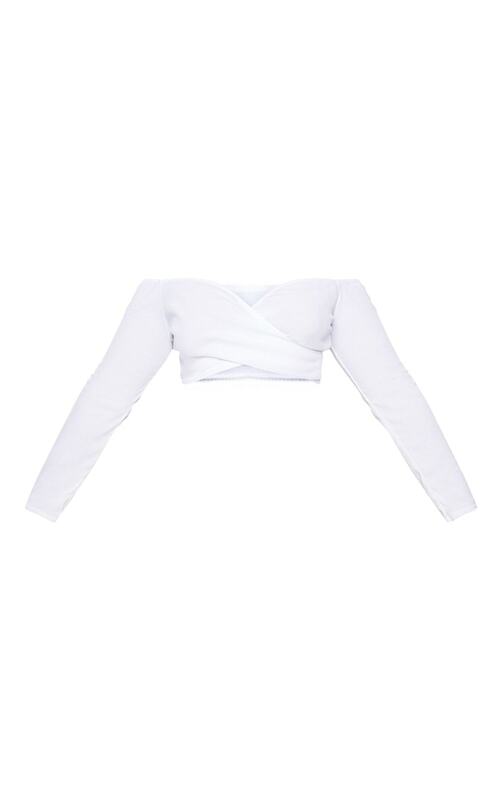 Featuring a white ribbed material with a flattering bardot neckline and a wrap over detail. 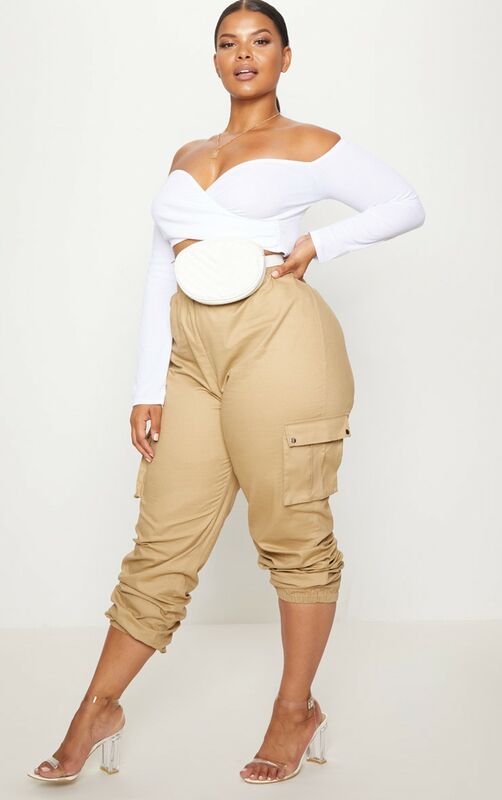 Style this crop top with cargo trousers and barely-there heels, complete the look with a bum bag.